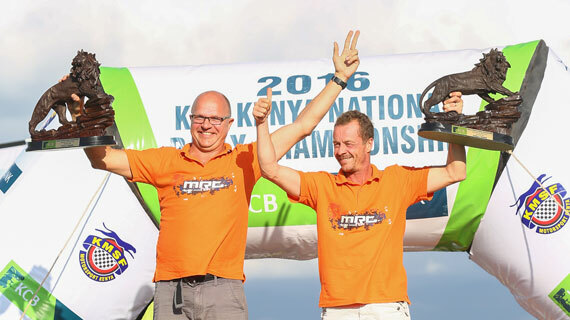 Finnish Tapio Laukannen on Saturday grabbed his second win after cruising to win the KCB Nanyuki Rally following his remarkable performances in the Loldaiga and Lengetia stretches. Laukannen stretched home ahead of defending champion Jaspreet Chatthe who finished second while Carl Flash Tundo made it to the podium finish navigated by Tim Jessop. Onkai Rai and Baldev Chager returned in fourth and fifth positions respectively while six times champion Ian Duncan was placed sixth. Rajbir Rai, Raaji Bharij, Frank Tundo and Leo Varese were among the unlucky drivers who retired for varied mechanical reasons. Speaking after the rally on Saturday , the winner, Laukannen noted that “It was a great outing and I am grateful to God for winning this rally, I dedicate this victory to my 2 years old boy back in Finland”, said an excited Tapio Laukannen. Jaspreet Chatthe on the other hand was delighted with the second position thanking his team for their immense support in the outing "Nanyuki was tough especially in the CS 5 but I am glad we managed to finish well with my navigator Gugu Panesar”, he said.